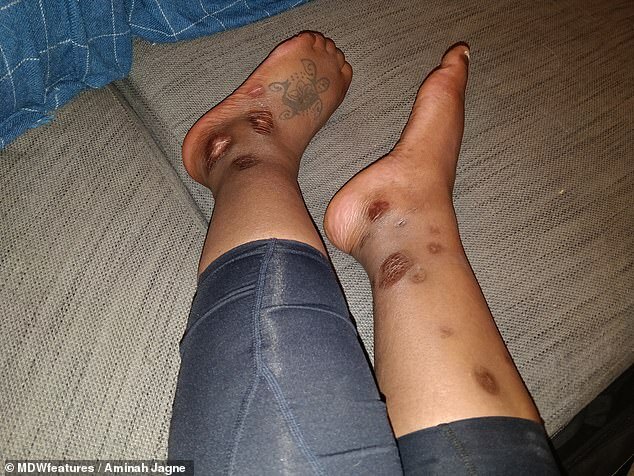 Shocking photos show painful blisters that crept up a woman’s legs, which left doctors baffled by what caused them. 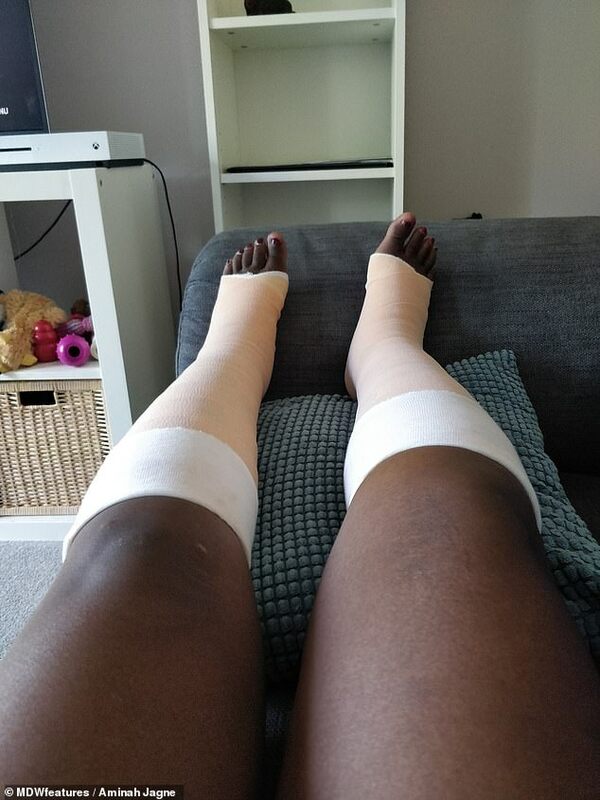 Aminah Jagne, 28, was in agony and unable to walk because of the lesions, which cropped up days before she went on a holiday. 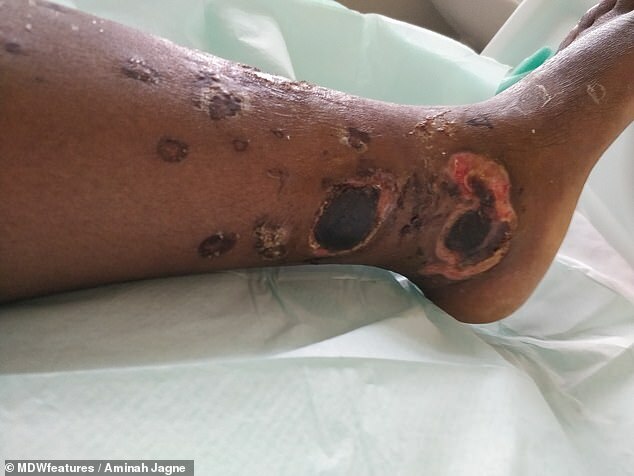 She had initially been given antibiotics by her doctor, but while holidaying in Egypt, her legs felt like they were on fire as the ulcers grew. On return, Ms Jagne, who is a wellbeing facilitator, of Pontypridd, Wales, was rushed to hospital where she stayed for three weeks. Doctors struggled to work out if the cause was an insect bite or Ms Jagne’s previously diagnosed lupus. The autoimmune disease can cause inflammation to the joints, skin and in severe cases the organs in raging flare-ups. It took five months of bandaging for Ms Jagne’s skin to heal, and the ordeal has left her shocked at the unpredictability of her disease. She said: ‘The blisters turned to ulcers and the pain reached a point where I had to be wheeled to the toilet. ‘Every time I stood up, my legs felt like they were on fire and it would take some time for the burning to stop after I lay back down. ‘I’ve never been religious, but I found myself praying during that hospital stay. The experience made me realise that lupus is unpredictable. Ms Jagne was diagnosed with lupus in 2011 after she noticed throbbing pain and stiffness in her wrists, hands and feet. Lupus is a long-term auto-immune condition, for which there is no cure, whereby the immune system attacks itself. An estimated 240,000 Americans and 15,000 people in England and Wales are diagnosed with lupus, making it relatively uncommon. 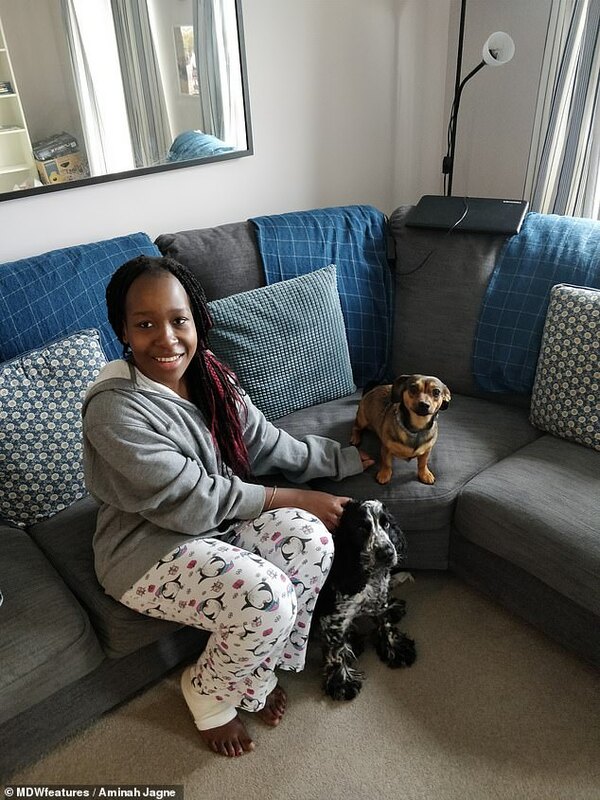 Ms Jagne was in her first year of university when she realised something must be seriously wrong – she stood to get off a bus but realised she couldn’t walk due to being in so much pain. After Ms Jagne’s diagnosis, she was forced to leave university and move back in with her parents. She said: ‘I had to withdraw from university and go and stay with my parents who were living in South Africa at the time. I couldn’t handle all the demands of my life with studying and working part-time. Ms Jagne got into fitness thinking that by keeping fit she would be able to control the effect it had on her life. In March 2018, while training for a bodybuilding competition, she was bitten by an insect, causing a severe reaction a few days later. Her GP prescribed antibiotics just before she jetted off to a scuba diving holiday to Egypt. While staying on a boat on holiday, Ms Jagne’s blisters started creeping up her legs, turning into ulcers. She was in excruciating pain but tried to put on a brave face, having taken all her strong painkillers and having no access to medical help. Ms Jagne said: ‘My legs started to blister a week after getting bitten, and then ulcerate a week after that. I had no idea what was going on and have never been so scared. ‘I had flown to Egypt for a holiday and was staying on a boat when the blisters were at their worst. ‘I couldn’t access a doctor and after the oral antibiotics I was given by the GP back home stopped working, things went downhill fast. ‘I ran out of stronger painkillers and was taking paracetamol and ibuprofen together after being advised by a former nurse who was on board. 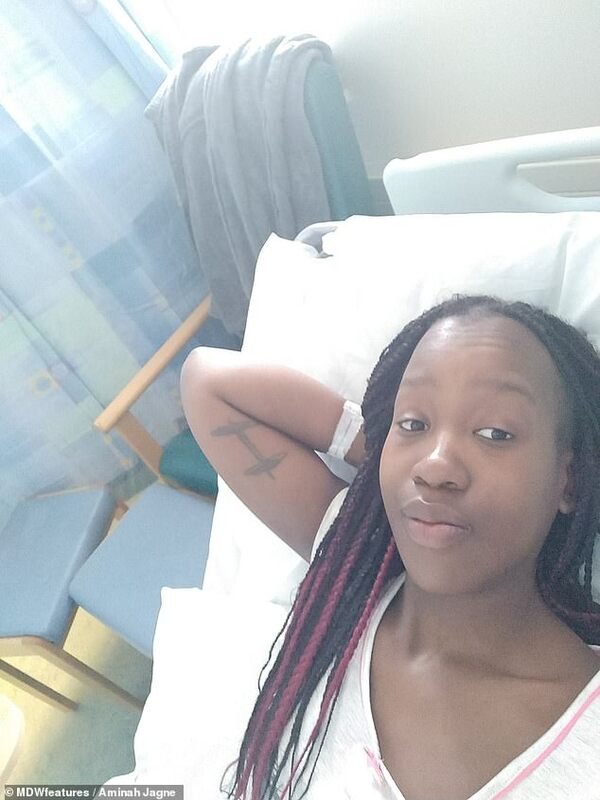 After landing at Heathrow a week later, Ms Jagne went to hospital at home and was admitted straight away. She said: ‘I was so relieved when they said they would admit me but didn’t realise things would get worse. ‘Because of my lupus, the healing was slow. I was seeing nurses every other day to have my wounds cleaned and bandages changed. ‘Each time was excruciating and no-one was able to give me an idea of how long it would take for them to heal. Doctors are unsure whether Ms Jagne was even bitten, or the blisters and ulcers were caused by her lupus. Due to joint pain and fatigue, Ms Jagne takes medication every day and medical steroids when her condition flares. It’s important that she gets plenty of sleep because if she doesn’t her joints start to ache and she can find it difficult to swallow. ‘I suppose I’d like to get across that lupus shouldn’t be underestimated. Just because your symptoms are quiet now, doesn’t mean they always will be,’ Ms Jagne said. 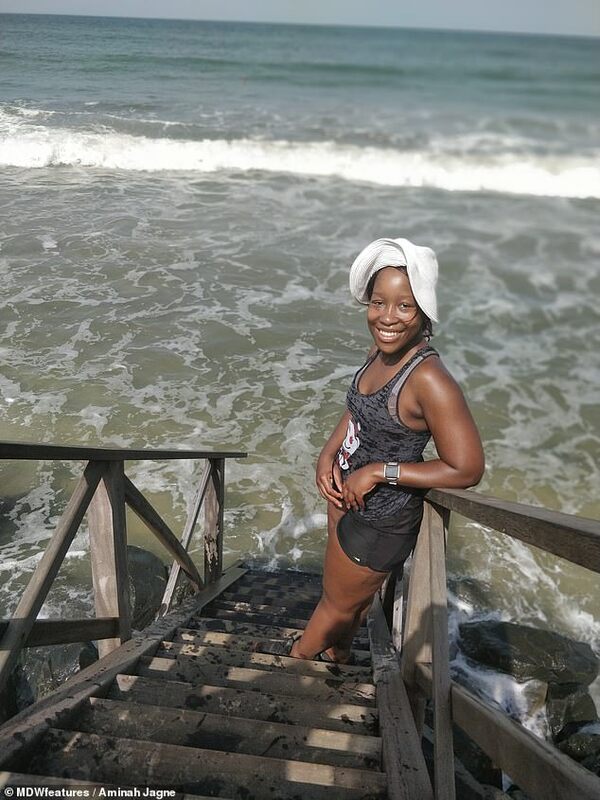 She finds a positive mentality through fitness, working a routine around her flare ups. 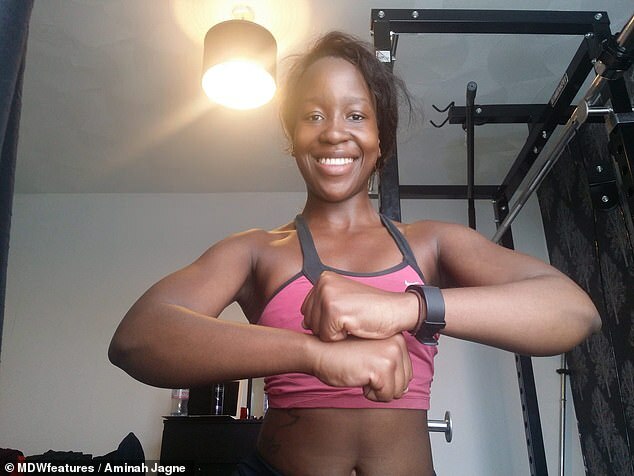 ‘I don’t know if it [fitness] has helped limit the physical impact of lupus, but it’s definitely helped with the mental impact,’ she said. 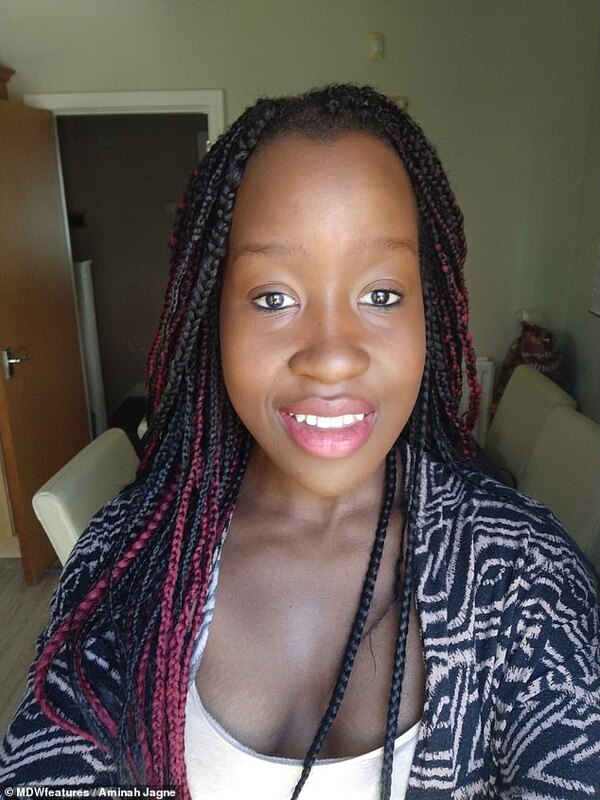 ‘Rather than see myself as fragile I view myself as strong and I know that my body is capable of lots of amazing things – even with lupus, which is amazing. ‘Fitness has given me confidence. When I’m flaring and have had to take a day off work or am feeling weak and incapable, I can tell myself, “Yes, but you’re also capable of picking up 100KG”. Systemic lupus erythematosus (SLE) – lupus – is a long-term condition causing inflammation to the joints, skin and other organs. There’s no cure, but symptoms can improve if treatment starts early. It’s not fully understood what causes lupus. A viral infection, strong medication, sunlight, puberty, childbirth and the menopause can all trigger the condition. More women than men get lupus, and it’s more common in black and Asian women. Often the disease flares up (relapses) and symptoms become worse for a few weeks, sometimes longer. Symptoms then settle down (remission). The reason why symptoms flare up or settle down is not yet known. Some people don’t notice any difference and symptoms are constant. Moderate: Inflammation of other parts of the skin and body, including your lungs, heart and kidneys. Severe: Inflammation causing severe damage to the heart, lungs, brain or kidneys which can be life threatening. Lupus is generally treated using anti-inflammatory medicines like ibuprofen, hydroxychloroquine for fatigue and skin and joint problems and steroid tablets, injections and creams for kidney inflammation and rashes. There are also some helpful lifestyle habits to manage the condition.